With the holiday season now behind us, if you’re like me, you’re deep into planning for 2017. Lists are being made, priorities set and a plan is almost in place. Here at The Center, there are a lot of great new projects in the works and updates to many existing one’s as well. One new program we will be launching, called Content Collaboratives, is designed as small group deep dives into singular topics to both surface and coalesce knowledge we already know on a particular subject as well as identify the gaps in knowledge we can try to fill. Subject matter experts from other industries will be invited as faculty and participants so we can learn from others how they have successfully solved similar problems in their fields. Collaboratives are designed to be highly interactive and participatory workshops geared to senior level healthcare and design executives. The first Collaborative, sponsored by Steelcase Health in partnership with Deloitte, will focus on designing ambulatory care environments that address the challenges of the future. Deloitte will host the event in their Greenhouse space, a setting specifically designed to encourage innovative and interactive learning. Also look for new Insights and Solutions toolboxes on topics ranging from Behavioral Health to Emergency Department Throughput as well as additional resources being added throughout the year to existing toolboxes like Communication and Impact of Aging which are available free to all through partnerships with Steelcase Health and J&J Flooring Group. Here’s to creating great things together in the coming year. On December 8, the first day Oscar's healthcare facility opened in Brooklyn, all of the available slots filled up immediately. Oscar CEO Mario Schlosser points to that as a good sign of what's to come for the $2 billion health insurance startup's foray into physical healthcare spaces. Oscar aims to be a more consumer-friendly insurance company that keeps all your health information in one easy-to-use and easily accessible place. The company opened the Oscar Center as part of a partnership with Mount Sinai that combines Oscar health insurance with Mount Sinai physicians. As hospitals and health systems develop strategic facility plans for the future of care, many are following the edict attributed to architect Daniel Burnham: Make no little plans. Health care providers are working with architects, urban planners, developers and governmental bodies to create medically oriented, mixed-use developments that extend the borders of the traditional medical campus. Anchored by health care facilities, these communities encompass elements like housing, retail, education, research and development, recreation, culture, social services, public transportation and active transportation in an environment designed to promote health and wellness. Healthcare Facilities Management, more . . . 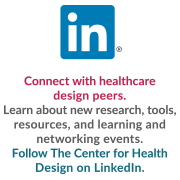 Considering the healthcare landscape’s uncertain climate, JE Dunn Construction recently partnered with HKS Inc. and the Center for Advanced Design Research and Evaluation (CADRE) to answer one fundamental question: How do we design, not for a faceless future, but for an ever-changing present? Survey distribution to 100 family practice physicians and internal medicine physicians. Technology will not completely replace brick-and-mortar facilities, but it certainly has decreased the amount of traffic into and capital spent on these assets. Banks, airlines, travel agents and the music industry all poured funds into technology infrastructure to meet changing consumer demand and keep pace with the competition. Health care services are the next frontier in the physical space versus cyberspace equation as telehealth grows to challenge the field's traditional real estate assumptions. As more people travel to receive healthcare, the hospitality industry has gotten wind of the trend and is situating more hotels near hospitals. For instance, the Edge Hotel opened about a block away from NewYork-Presbyterian Hospital, which is located in an area where visiting patients often had trouble finding nearby lodgings, according to an article from The New York Times. Ari Sherizen, the operating partner of Edge Property Group, which developed the hotel, said that much of its high occupancy can be traced back to the hospital. About 90% of its customers have had some connection to the hospital, including visiting professors and potential medical students, he said. Fierce Healthcare, more . . . Hundreds of new innovations and solutions will be on display in an expanded expo hall, with suppliers on hand to answer your questions and demonstrate their products. Gain insight into new aging technologies, and deepen your knowledge of the industry with our ever-expanding group of exhibitors. Meet new vendors, connect with current suppliers, and discover new products specifically created for the design of senior environments. Access Communication Toolbox resources here. The Winter Issue of HERD Journal - FREE! To celebrate the launch of SAGE's new, improved website, all paywalls are down through January. So now is the time to get caught up on your reading and research starting with the HERDs newest issue.